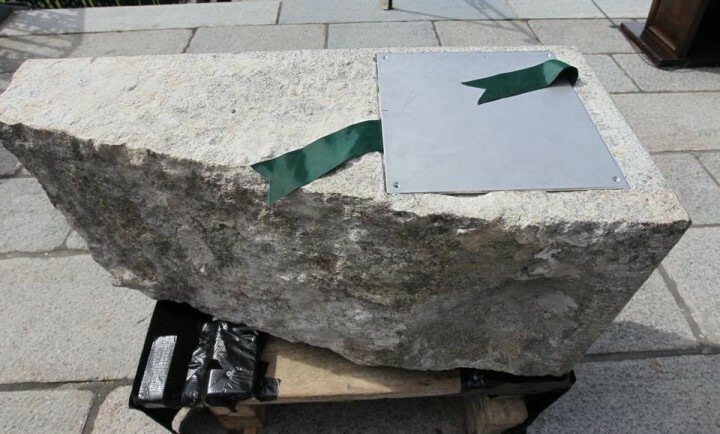 THE CAPSULE WAS BURIED ON 4 JULY 1795 AND MOVED TO A NEW CONTAINER IN 1855, BEFORE BEING REDISCOVERED LAST YEAR AT THE MASSACHUSETTS STATEHOUSE. 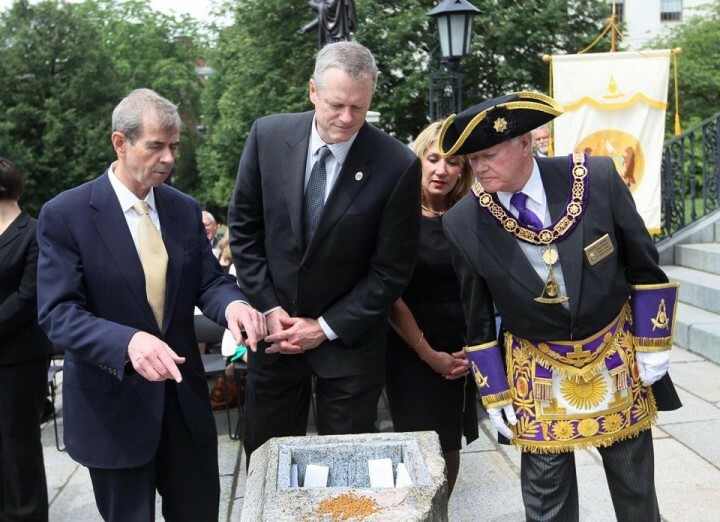 On June 17, 2015, in an elaborate masonic ceremony steeped in tradition, a time capsule dating to 1795 was returned to the cornerstone of the Massachusetts Statehouse. On July 4th, 1795 then Massachusetts Gov. 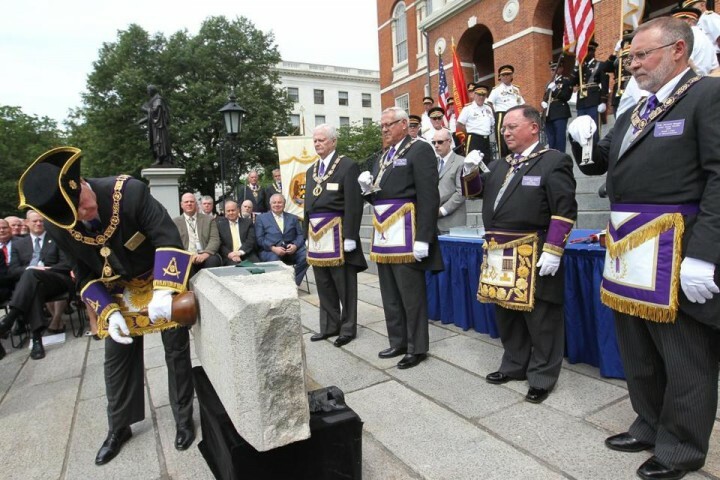 Samuel Adams and Paul Revere, then Grand Master of the Grand Lodge of Ancient Free & Accepted Masons of the Commonwealth of Massachusetts, presided over a similar ceremony in which the time capsule was first deposited into the cornerstone. 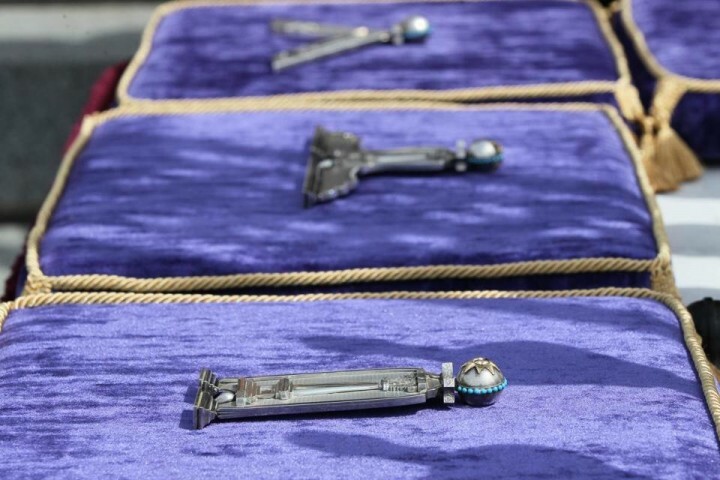 The original container included an engraved silver plaque, a medal in honor of George Washington and a set of coins including one believed dated to the mid-1600s. The capsule was removed in 1855 during construction of a new wing of the building. Its contents were transferred to a sturdier brass box and new items, including coins and newspapers, were added. The latest contents, not revealed until yesterday’s ceremony, were a 2015 U.S. mint coin set – including dollar coins of Presidents Truman, Eisenhower, Kennedy and Johnson – and a silver plaque commemorating the historic event. The Secretary of the Commonwealth, William Francis Galvin, Governor Charlie Baker and Grand Master Harvey Waugh peer into the crevice that will hold the historic time capsule.